How to use blog posts to drive traffic to your website? Online entrepreneurs use a variety of methods to increase traffic to their websites, but by far the most successful, and certainly the one Google values the most is quality content. Real information of interest to the audience is guaranteed to help a website rank higher and reach the target audience far more quickly and accurately than manipulated methods. Blog posts are an easy and informal way to provide quality content; but how to write a highly successful blog? Did that subheading grab your attention? Did it make you want to read on? Hopefully the answer to both of those questions is a resounding "yes". Creating a powerful subheading and cliff hangers which attract attention are the perfect way to hook an audience and make them want to read more. Short punchy sentences and small sections of text are also much more likely to be read than large chunks of prose. Research has shown that we read differently online, and are more likely to skim read as well as being deterred by too much writing. 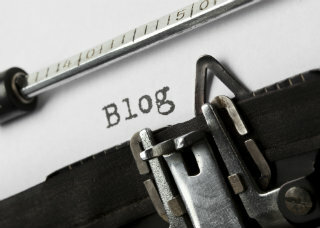 What is the key message of your blog? This may sound obvious but be clear about the message you are trying to convey to the audience. Before writing your blog think about what you would enjoy reading, and how you would want this presented. Stiff formal text will leave your readers yawning, whilst a punchy refreshing approach will amuse and entertain. Without wishing to insult your ability as a writer, the chances are that no matter what you write, a decent picture will be much more a head-turner. Using interesting pictures to illustrate the points you are making is far more likely to be a success than simply providing the text...no matter how good it is. There are lots of sources where you can obtain free images for use on commercial sites so there's really no reason not to spice up your blog!